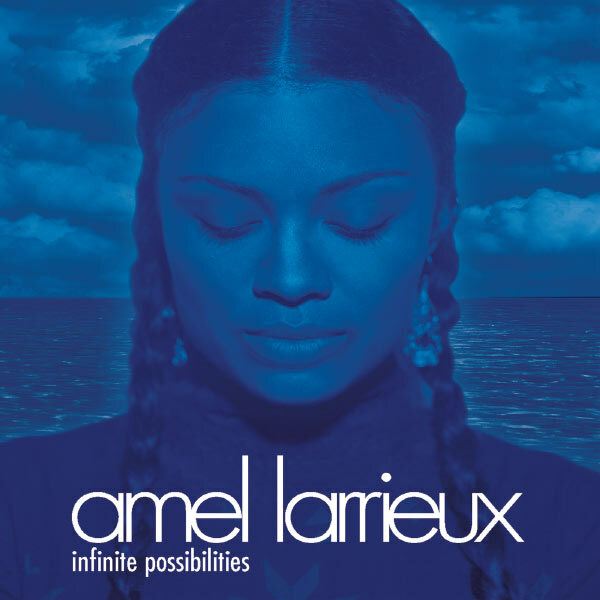 Infinite Possibilities font here refers to the font used in the cover artwork of Infinite Possibilities, which is the debut studio album from American R&B artist Amel Larrieux, released in 2000 through Epic Records. The font used on the cover artwork is Futura. The album title in set in Futura Condensed Light and the singer name is set in Futura Light. Futura is a classic geo-metric typeface designed by Paul Renner. You can purchase and download the font here. In addition to Infinite Possibilities, Futura typeface is also used in the following logos, movie posters or album covers etc., including: Avon, Party City, Supreme, In-N-Out Burger, 90210, The Five-Year Engagement, D&G, PetSmart Logo, Football Manager 2016, Swish Swish (Katy Perry), American Beauty, Muscle of Love, Milk, Github, Native.